Blue Hills Processors is one of Canada’s largest and most innovative special crop processing facilities. 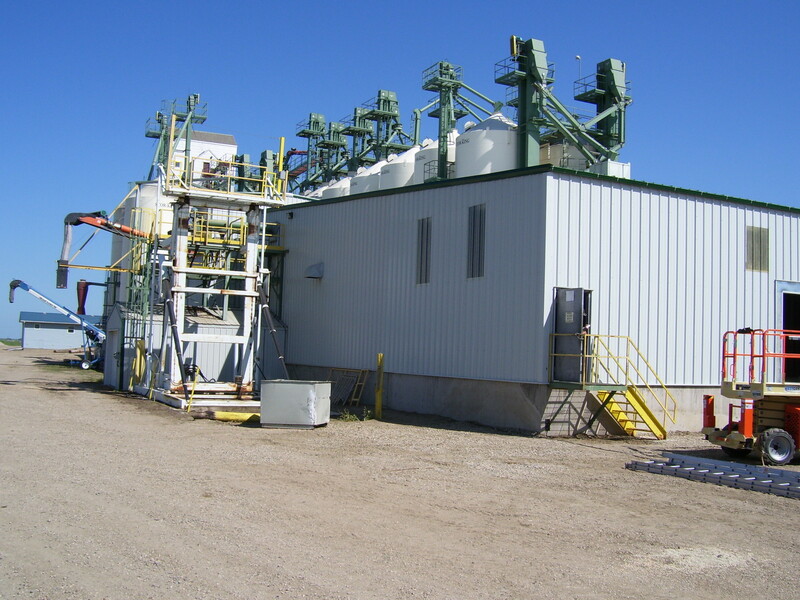 They specialize in cleaning, sizing, bagging and bulk loading peas, lintels and chickpeas. Their processing plant is located in Avonlea, Saskatchewan. Due to industry growth, an addition was required to increase processing and warehouse space. Three loading docks were added to accommodate transport and delivery requirements.